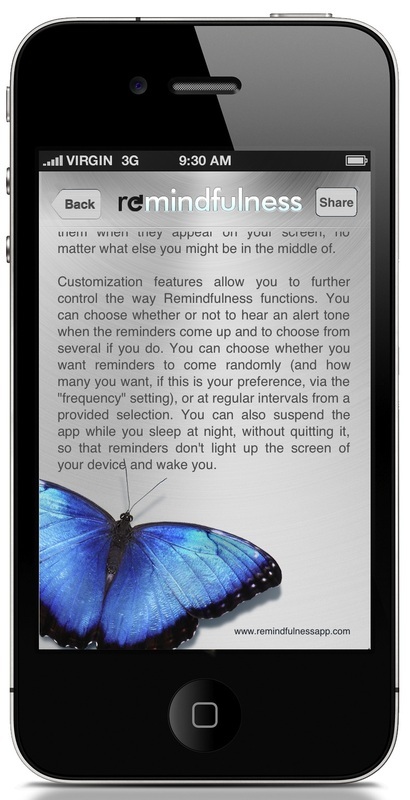 Customization features allow you to control the way Remindfulness functions. You can choose whether or not to hear an alert tone when the reminders come up and to choose from several if you do. You can choose whether you want reminders to come randomly (and how many you want, if this is your preference, via the "frequency" setting), or at regular intervals from a provided selection. You can also suspend the app while you sleep at night, without quitting it, so that reminders don't light up the screen of your device and wake you. You can even write your own reminders and either save them in a separate list which the app can use exclusively, or combine them with the app's preexisting reminders with the "Yours" "Ours" and "All" options. 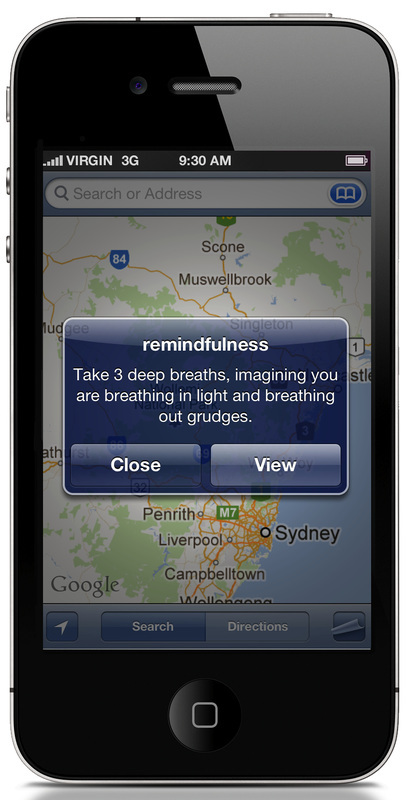 While you can't edit or view the preexisting reminders, you can edit and view from the list of reminders you create. The way reminders appear will depend upon the style you have chosen in your device's Notification settings. The "Alert" style setting will cause a reminder to remain on your screen until you choose to share it, close it, or view it within the app, while the "Banner" style setting will cause the reminder to appear at the top of your screen for only a few seconds. 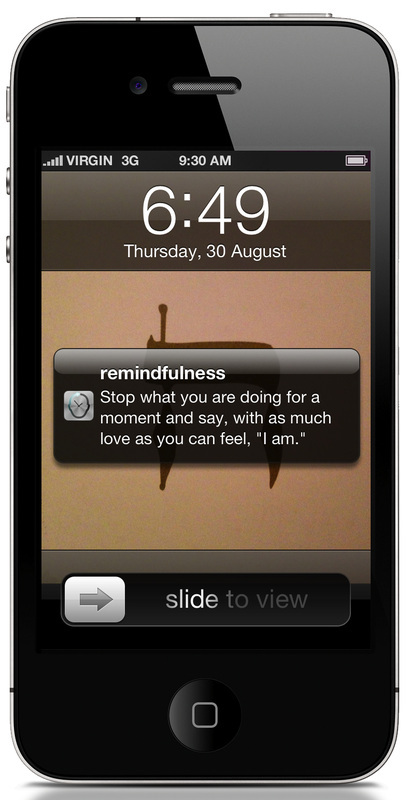 In both cases, you will be able to access your last reminder via the pulldown notification screen (in iOS 5). For Remindfulness to best do its job, the "Alert" style notification is recommended. It is also suggested that you select "Show - 1 Recent Item" to avoid giving yourself more than one reminder to consider at a time. Go to device Settings > Notifications > Remindfulness to make these choices. Please enjoy Remindfulness. I created it to help me throughout my day, again and again until the habit is ingrained, to return joyfully to the present moment. I hope it will help you do the same. 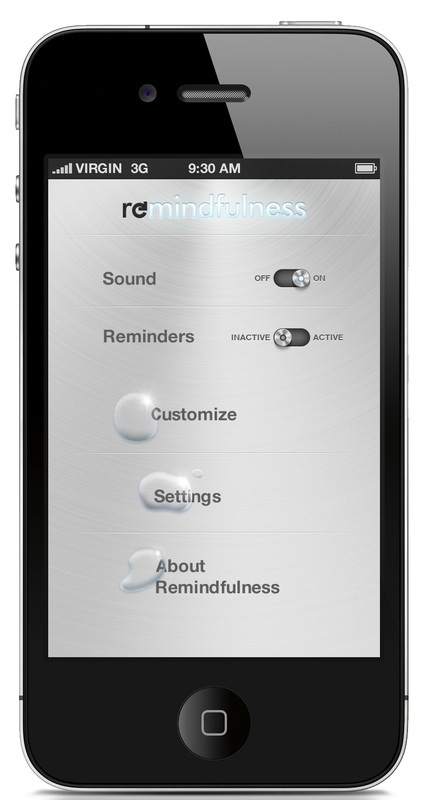 About the images in Remindfulness: The water droplets on the Home screen symbolize clarity. The flower on the Customize screen is a Cosmo, which symbolizes peacefulness. 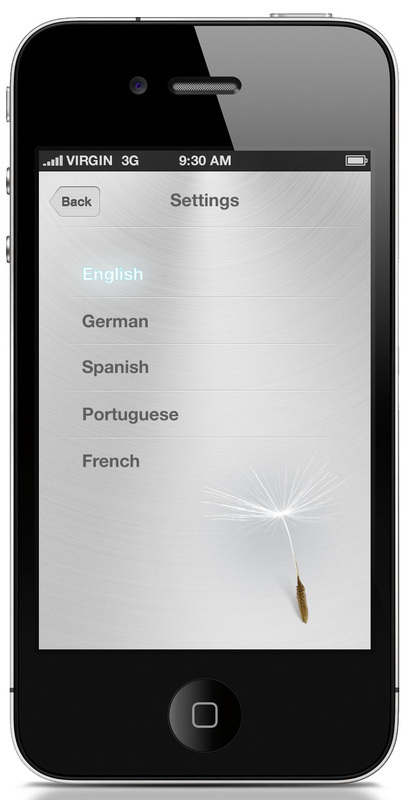 The dandelion seed on the Settings screen is about potential. 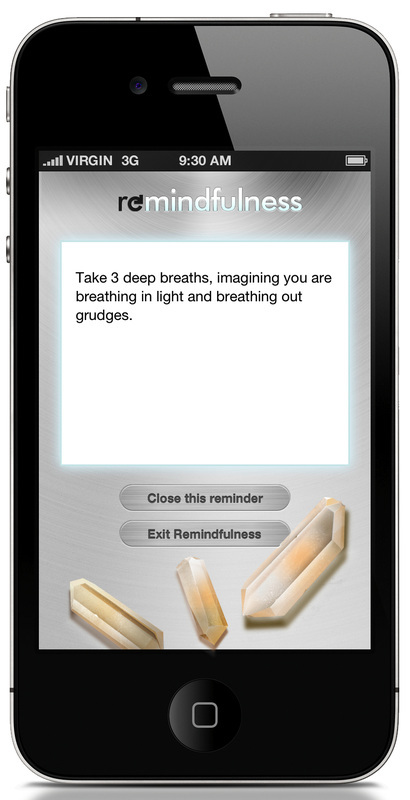 The quartz crystals on the Reminder screen are there because quartz enhances meditation. The butterfly on the About screen is about transformation. 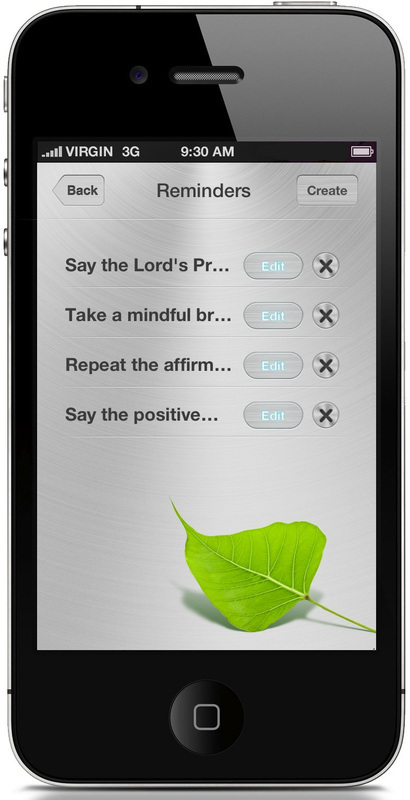 The bodhi leaf on the Reminder List screen symbolizes enlightenment.